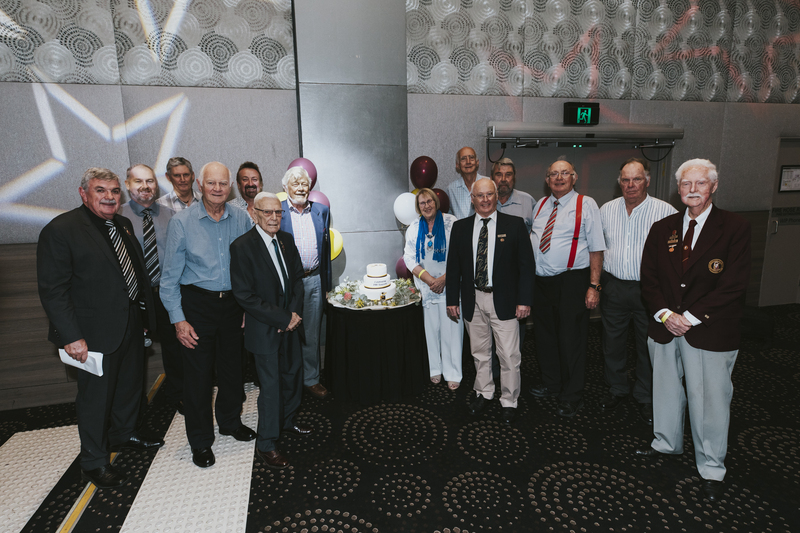 Some of our Life Members celebrating 100 years of Baulko Cricket with a cake. L-R: Peter McLoughlin, Chris Springall, Peter Touzel, Barry Walker, Kevin Parker, George Horwood, Kel Boyd, Rosemary McLellan, Terry Webb, Doug McKinnon, Neil Boyle, Neville Pittman, Stuart Yeend and Keith Vallis. See the "Coming Events" page (link at top) for more details. The Baulkham Hills Sports Club are terrific supporters of the cricket club. The committee would like to thank them for their continued support. We would also urge our members to support the Sports Club. Why not try the fantastic new menu in the restaurant. Have a look at their web site: Baulkham Hills Sports Club. This page last updated on 14 April, 2019.